The nanoSHARC is a tiny yet extremely powerful and flexible digital audio processing circuit board intended for OEM applications and advanced DIY enthusiasts. 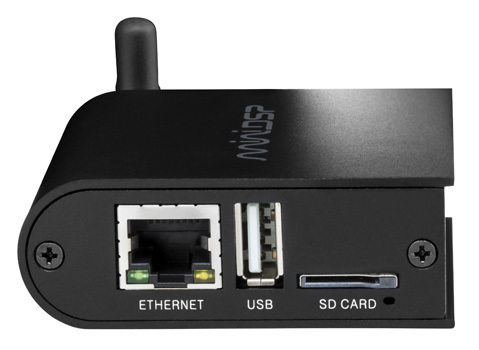 It includes an onboard optical digital input and asynchronous USB audio input. Audio output and additional audio inputs are to be provided by the system integrator via I2S interfaces. 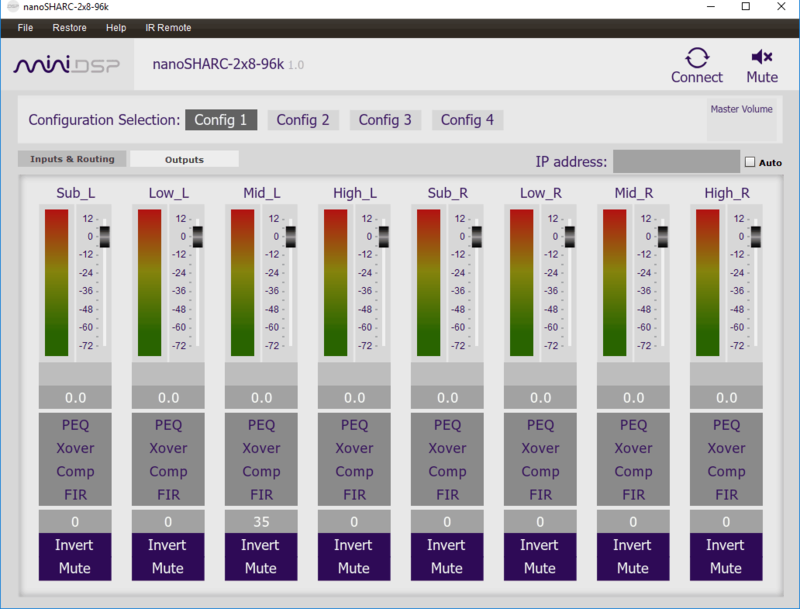 The nanoSHARC is an evolution of miniDSP’s existing audio processing solutions. The upgraded on-board 400 MHz Analog Devices SHARC ADSP21489 processor enables substantial processing upgrades previously available only on more expensive platforms, such as high-resolution audio capability and assignable FIR filter taps for sophisticated equalization, crossover, and room correction capabilities. All to be accessed and programmed with miniDSP’s easy-to-use interface software. I/O capabilities get an upgrade too, with the addition of USB audio streaming up to 192 kHz and a TOSLINK digital input. 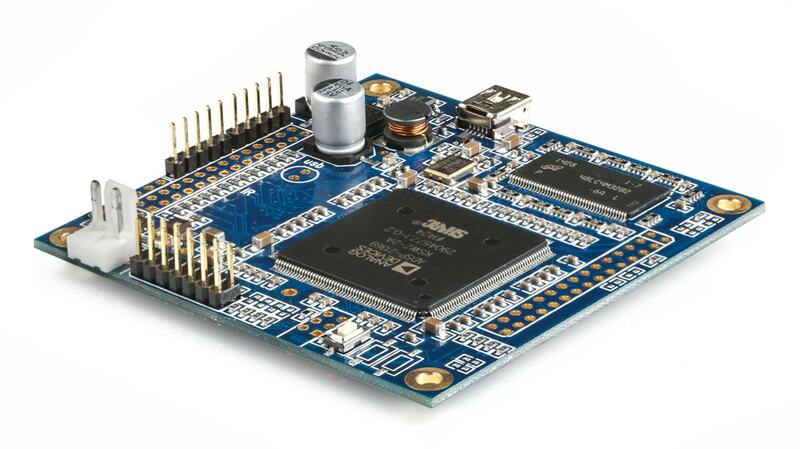 With all IO from XMOS and SHARC DSP exposed on headers, the nanoSHARC is opening a new arena of DIY/OEM application. Note: This product is for DIY/OEM application. It will require access to a soldering iron for connectivity and basic knowledge of digital electronics (e.g. understanding of I2S/interfacing to other boards). For those seeking a ready-made “in the box” solution with similar capabilities, please see our 2x4 HD, DDRC-24, and other products. STOCK UPDATE(13/03/2019): The nanoSHARC kit is unfortunately out of stock as we ran out of modules. We hope to build a new batch in the comming weeks. USB Audio Class 2 Bidirectional streaming with ASIO drivers, driverless under MAC OSx.